Hartalika Teej is an auspicious festival in India on which, Goddess Parvati and Lord Shiva are worshipped by married women. On this festival, Married women keep fast for the whole day, without drinking anything. At night, they perform special Poojas according to the muhurat and pray for happiness and long life of their partner as well as for their marital harmony. Hartalika Teej is not to be confused with Hariyali Teej, which falls in Shravana month. They both are quite similar festivals, but they are celebrated in two different months of Hindu calendar – just exactly a month apart. Hartalika Teej is primarily celebrated in northern and central Indian states like Uttar Pradesh, Bihar, Madhya Pradesh and Chhattisgarh. I live in Chhattisgarh and I have been seeing the women around me celebrate this festival from my childhood days! Here, they call it Teeja or Hari Talika. The traditional 16 Shringaar, i.e. the sixteen steps that the Hindu married women follow for their beautification from head to toe, is an important part of the Hartalika Teej festival as it is a festival that celebrates the bond between married couples. 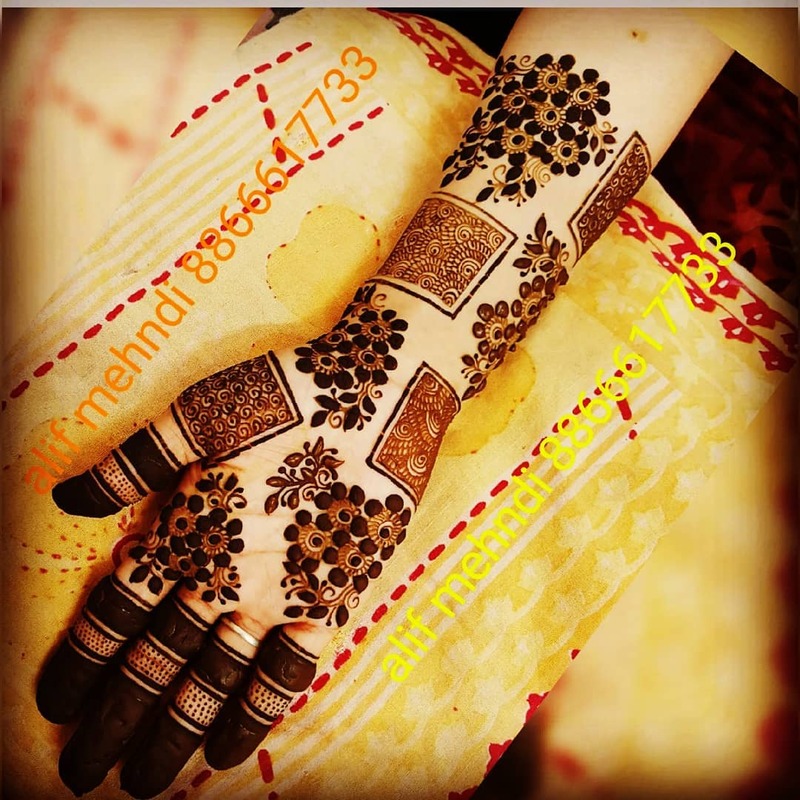 Mehndi being one of the 16 steps, is also considered very auspicious on Hartalika Teej. 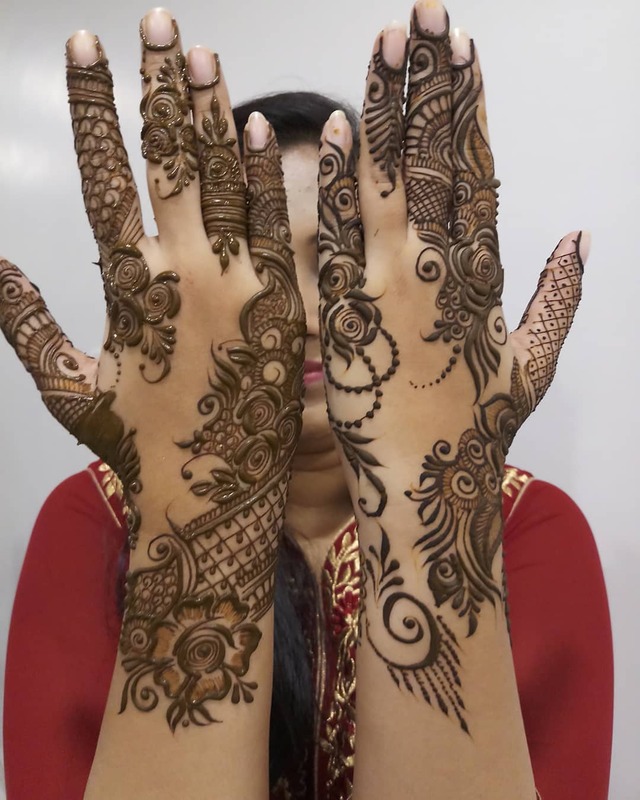 After choosing clothes and jewelry that they would doll up with on the day of Teej, women get their hands decorated with the latest Hartalika Teej mehndi designs. They say the deeper a married woman’s husband loves her, the darker her mehandi stain gets! This year, the festival is falling on the 12th of September, just a day before Ganesh Chaturthi. I am pretty sure that all you women who celebrate this festival must be done with all your hartalika teej saree shopping and preparations. 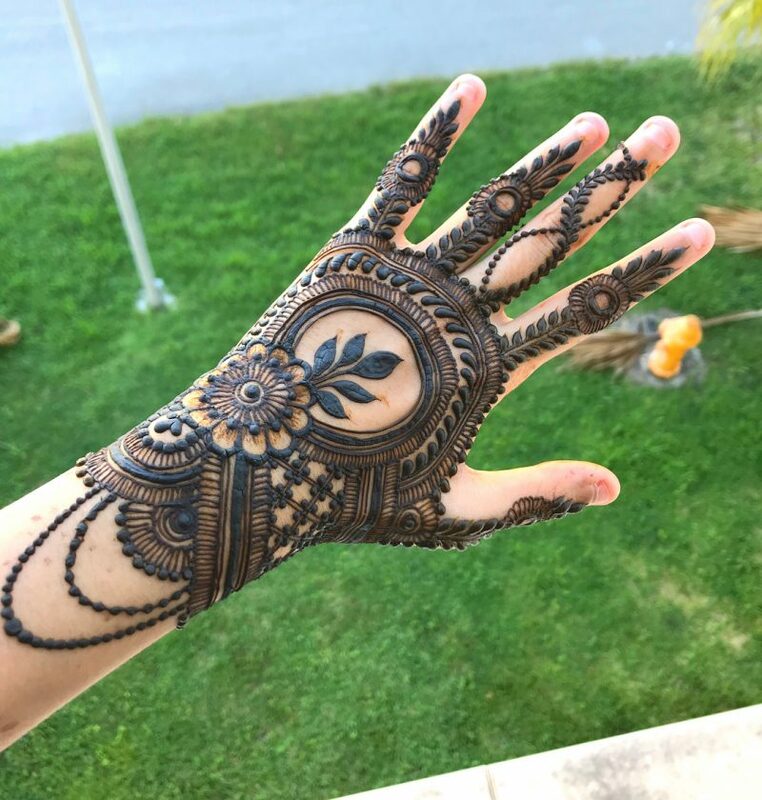 But have you picked out your mehndi design yet? No? 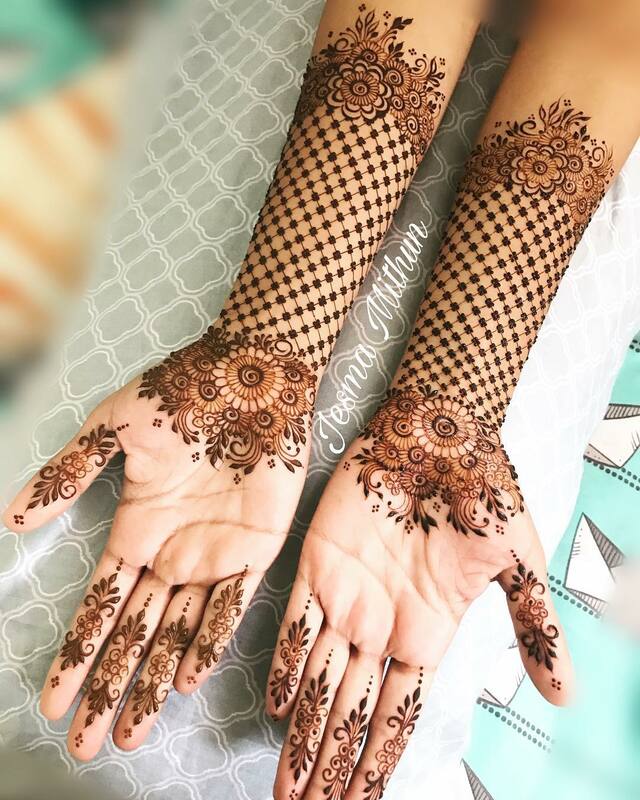 Then here are the latest Hartalika Teej mehndi designs inspirations for you which are trending in 2018! 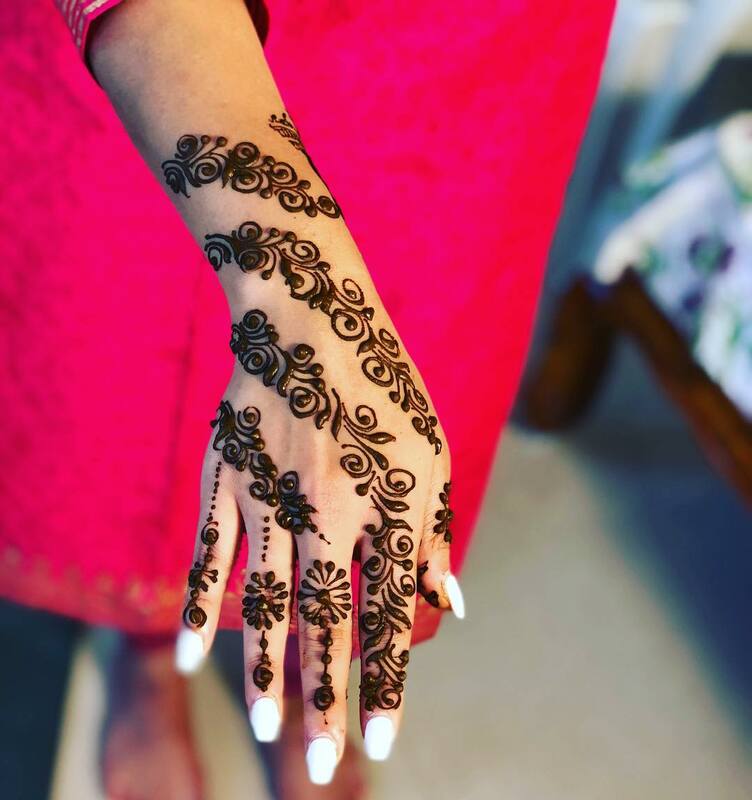 Whether you like subtle mehndi designs or full on bridal mehndi designs for this festival, you will find all kinds of inspirations in this post! Keep on scrolling to see all of them. And a very happy hartalika teej to all of you in advance! 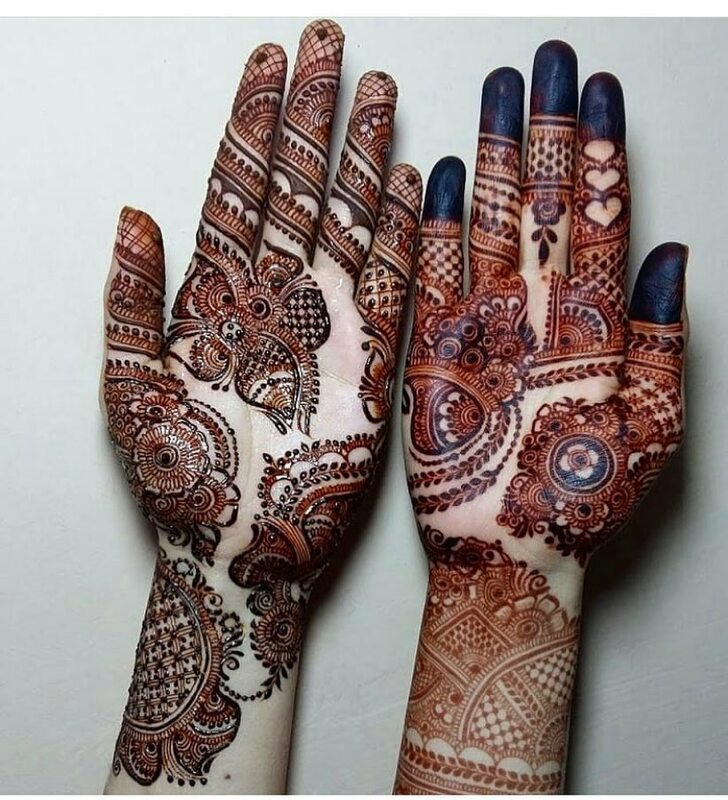 This unique mehndi design kind of has an abstract design vibe. It is pretty simple, elegant yet modern. It doesn’t cover up the whole of your palms so its subtlety is perfect for the hartalika teej occasion. 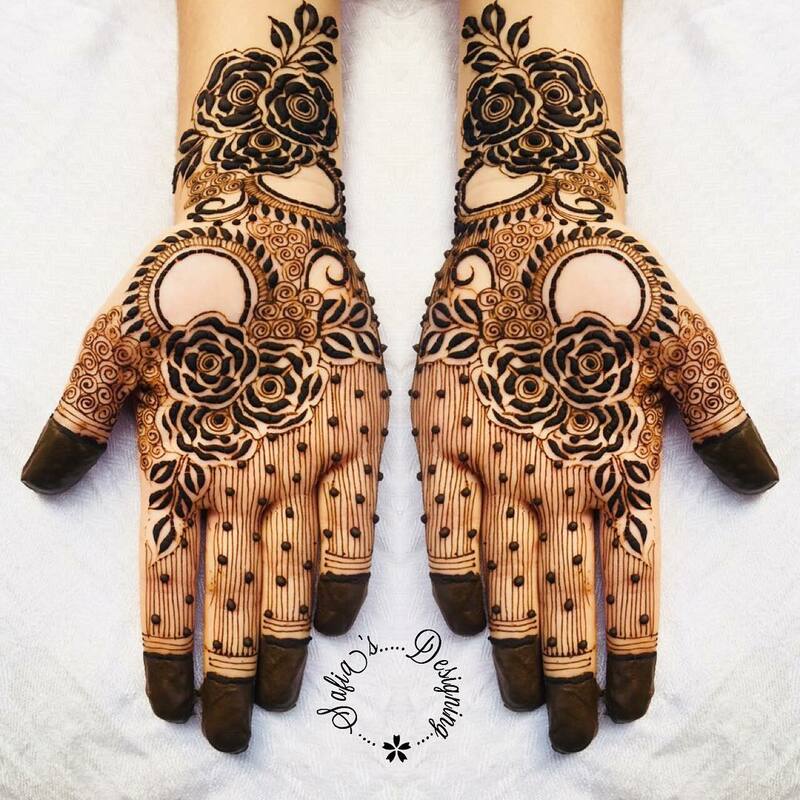 Diagonal mehendi designs are always in! This design has beautiful bold strokes that would give you a stunning, dark stain. 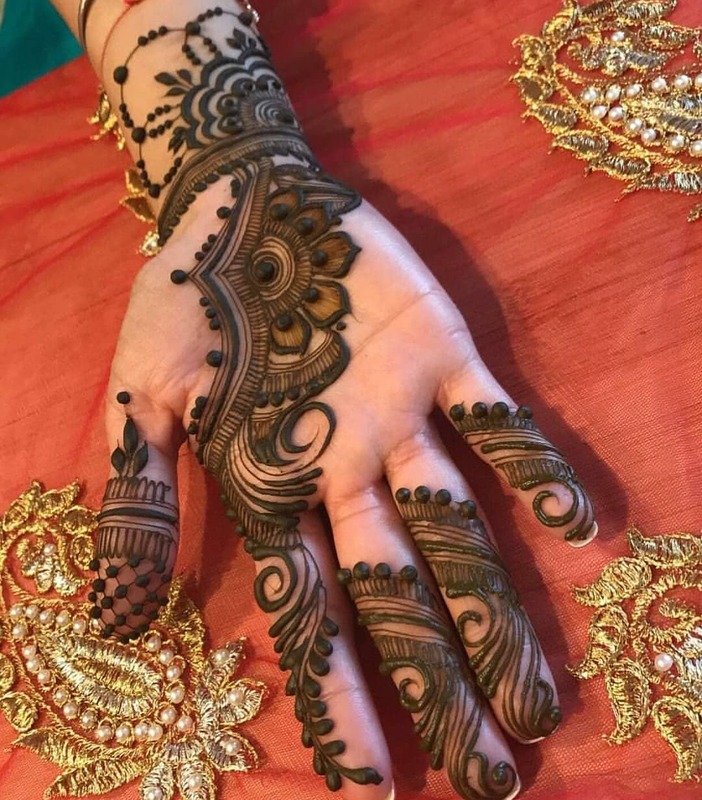 Oh yes, bold mehandi strokes always give a darker mehandi stain – if you didn’t already know that! 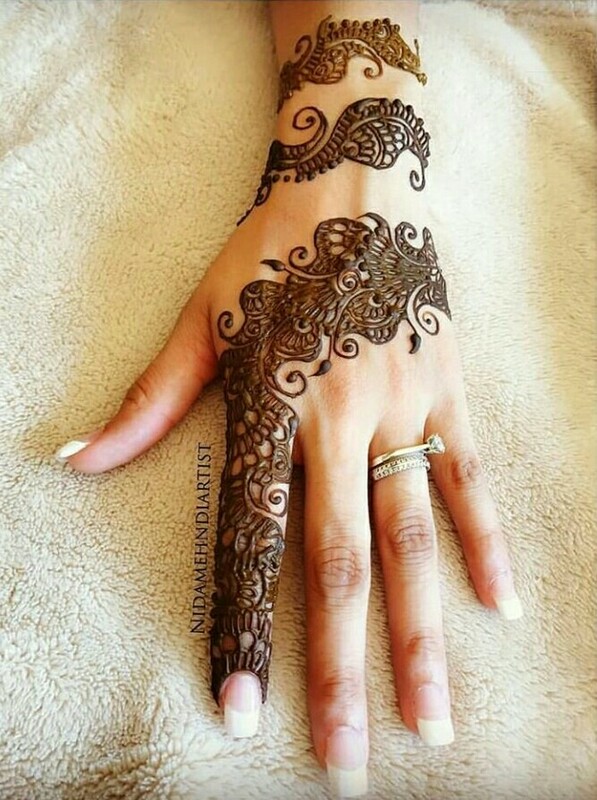 This combination of Mandala + bracelet mehandi design is ultra stunning, isn’t it? 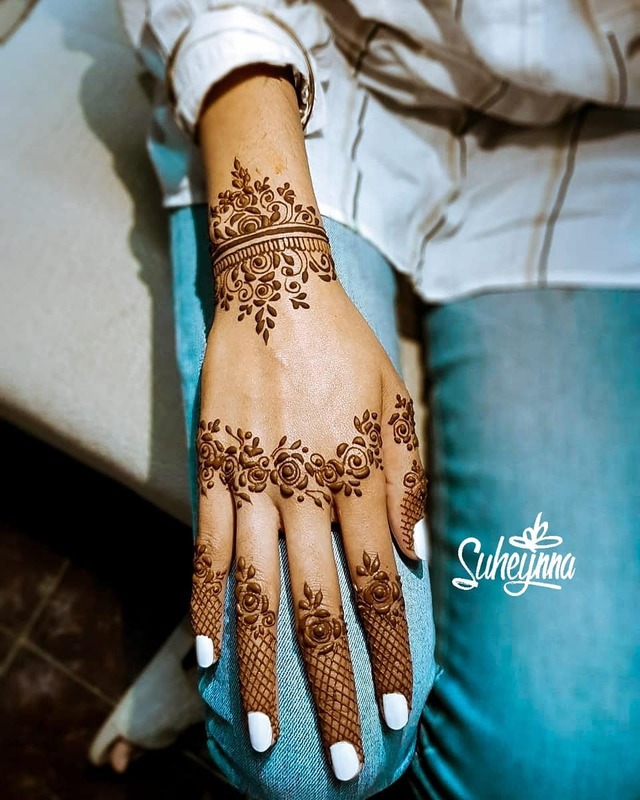 You can totally replicate this mehendi design on your palm instead of the back of your hand, as shown in the picture above. 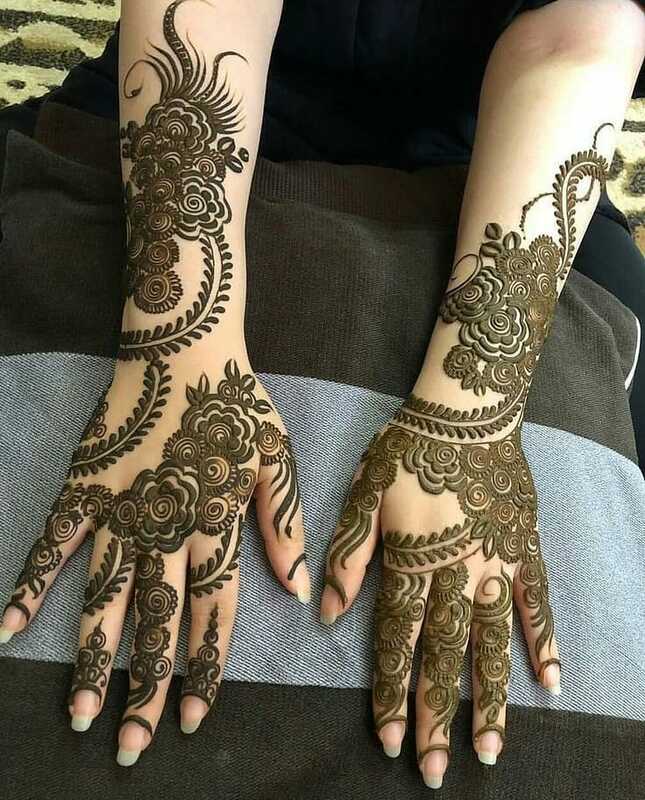 Simple and exquisite, this mehandi design will look really pretty if you draw it up till your elbows! Here is another very similar design that you might like to try out. 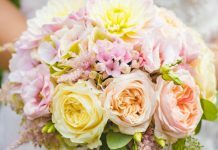 Roses in mehndi designs is always a yay! This one has incorporated modern vibes with the traditional floral mehandi patterns. You can make this design more apt for teej by drawing your and your partner’s name or initials in the empty space of this design. Also read: Simple Mehndi Designs For 2018 That You Should Try! Speaking of names in the teej special mehndi design, here is a beautiful inspiration of heart themed design that will go on both of your palms. 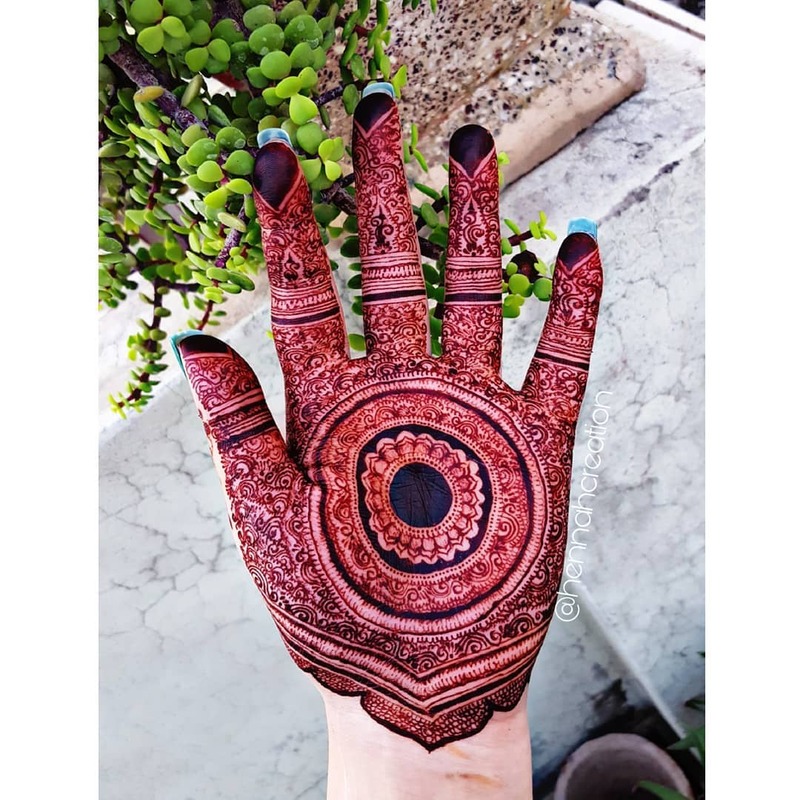 This festival of Hartalika Teej is all about the love and bond between you and your husband, there cannot be a better way to celebrate it than getting this initials mehndi design drawn on your hands – just like you must have done on your wedding day! 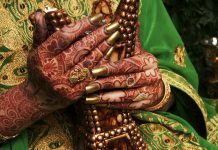 If you want a full on bridal style mehandi design for teej 2018, here is an inspiration for you with modern patterns. 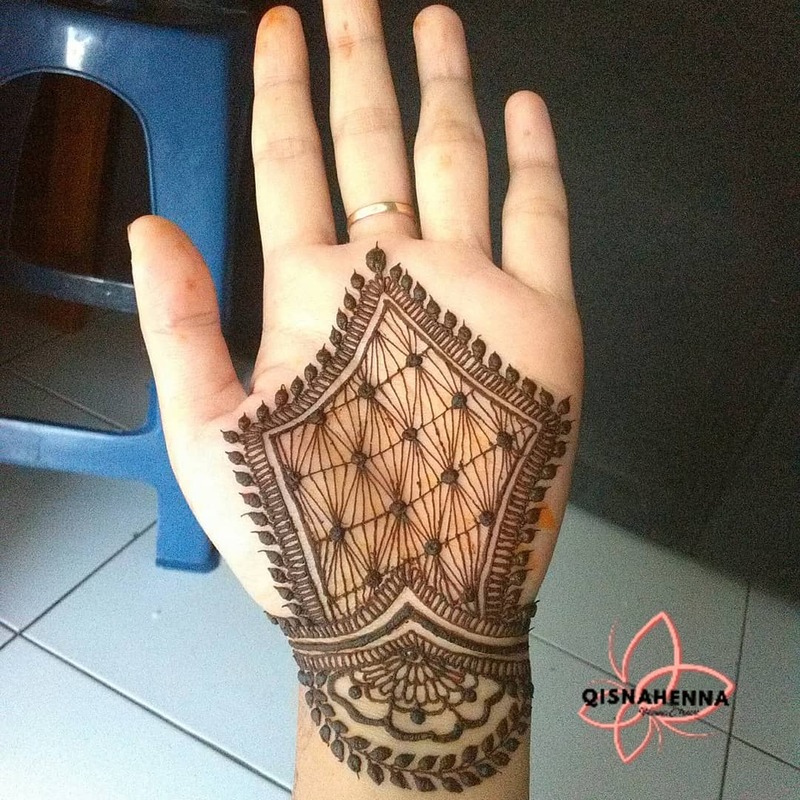 Grid designs are the easiest mehndi design for beginners. 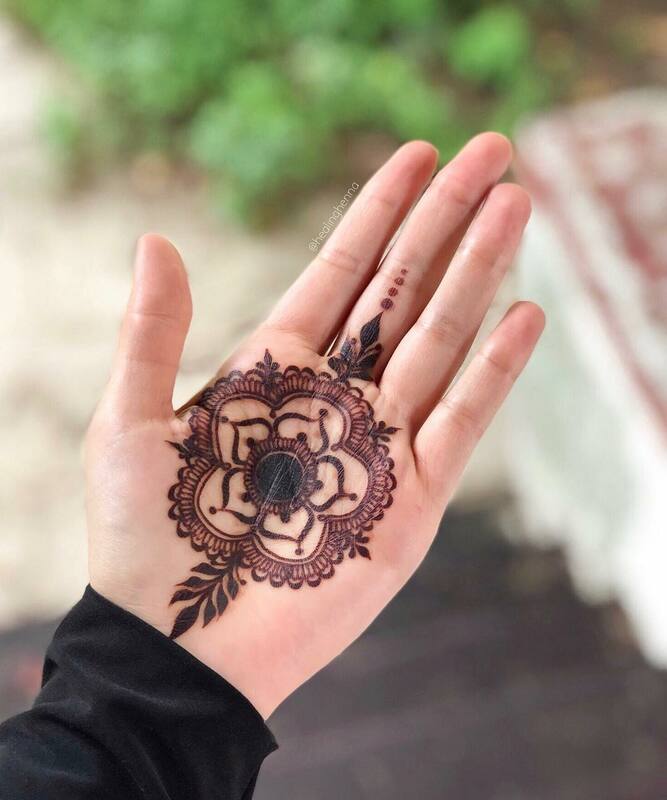 You may have some difficulty in drawing the intricate floral patterns of this design on your palms, but you can follow YouTube tutorials to learn how to apply mehndi easily by yourself. I will include some at the end of the post! 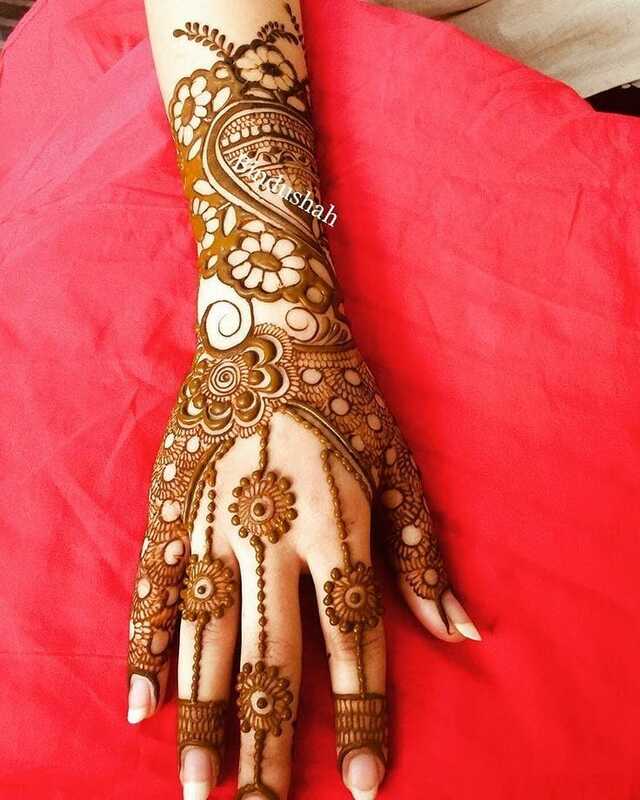 As I mentioned in the beginning of the post, you would find all kinds of mehendi designs here, subtle and bold, both. This one is a simple and subtle version of the grid design I shared above. Which one do you like more? 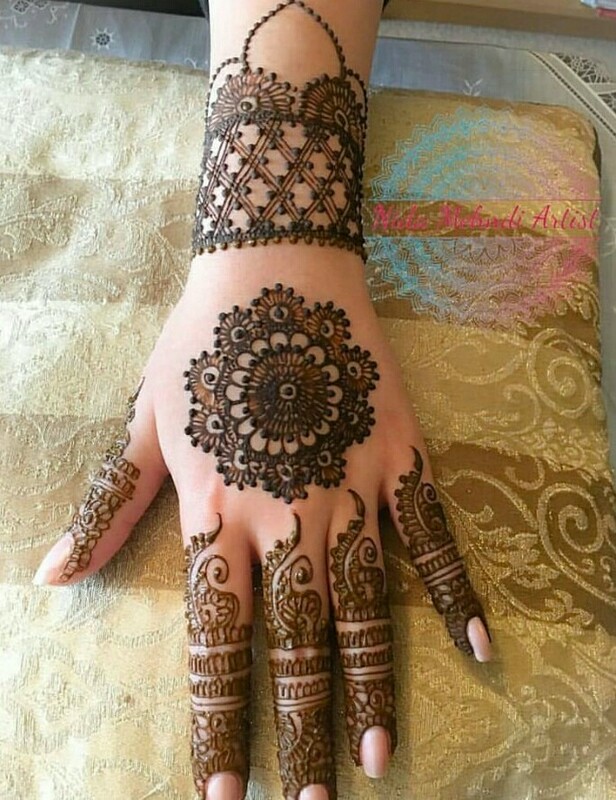 This design combines various patterns into one very exquisite mehandi design! It has bold strokes on the bottom and intricate patterns on the top. Gorgeous, isn’t it? 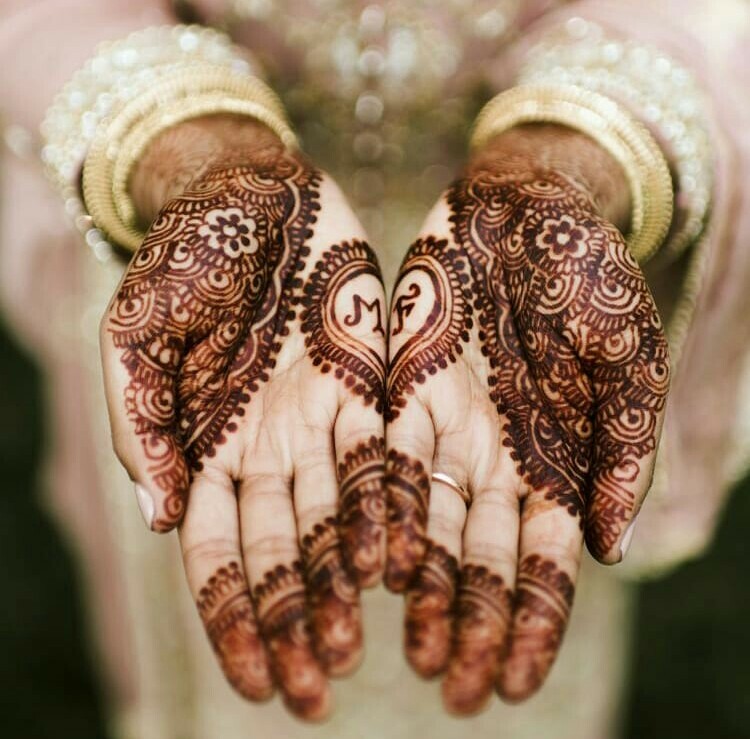 Traditionally, mehandi is always applied on the whole of your palms. 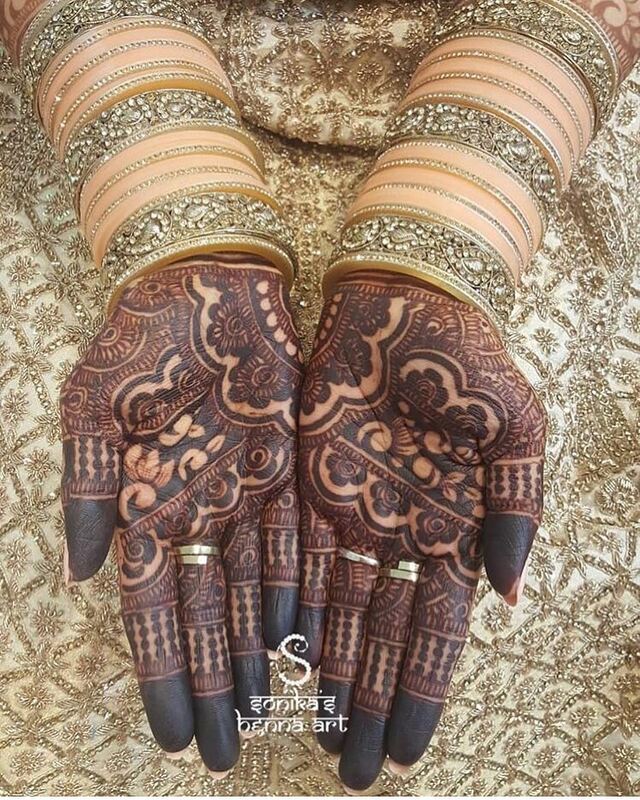 This pretty design with a beautiful dark stain on a bride’s hand must have surely inspired you for your next design! 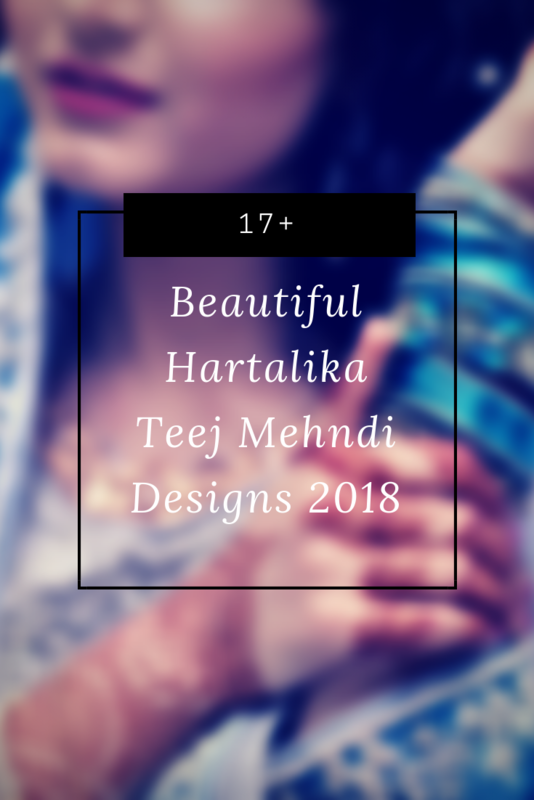 Still haven’t found the perfect 2018 hartalika teej mehndi design that you are looking for? 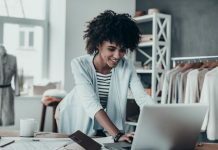 Here are some more inspirations for you! Share your favourite designs in the comment section below! Happy Hartalika Teej Again! Pin the image below to share this post with the world!